Based on their respective sales numbers, I’m probably not the only person playing Super Mario Galaxy 2 and Red Dead Redemption concurrently. Besides their financial success and critical acclaim, the two games have little in common. Comparing the way they approach challenge and difficulty presents a particularly striking juxtaposition. 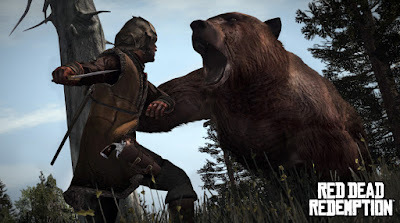 Whereas SMG 2 carries on the tradition of clearly defined, skill based challenges, RDR exemplifies the modern trend towards rewarding persistence and developing plot experiences rather than mastery over the game’s systems. Although SMG 2 has some flexibility in terms of difficulty, the game still requires the player to demonstrate a high degree of skill in order to progress. SMG 2 reveals the location of the stars and usually provides a clear path through the level, so getting lost is rarely a problem. Instead, it challenges the player by forcing them to perform under pressure. While star placement may be obvious, staying calm enough to perform a backflip on a sinking platform while under enemy fire makes the game difficult. Because the game has strict requirements about the number of stars needed to progress, players are forced to hone their skills if they want to see the entire game. Players must prove themselves to be competent in one world before they are able to move to the next. While the plot of Mario is decidedly thin, this gameplay narrative of overcoming increasingly difficult challenges complement’s the game’s overall ethos. Just as Mario must make his way through increasingly devious traps as he ventures into the depths of enemy territory, so too must the player learn to succeed in the face of increasingly complex challenges. Mario and the player are never at a loss for what to do: they have to make some terrifying jumps to save the princess. The challenge comes from proving that they can do it. Red Dead Redemption has a very different narrative. The game’s plot and systems tell stories about navigating a harsh, bleak world in order to carry out a task that comes naturally to the player and the main character. John Marston is hired to take down his old gang because of his abilities: the government knows he’s a killer, his old gang-mates know he’s a killer, and Marston himself knows he’s a killer. Similarly, within minutes of learning the controls and the quest structure, the player is familiar with the skills that will eventually lead to the game’s end. 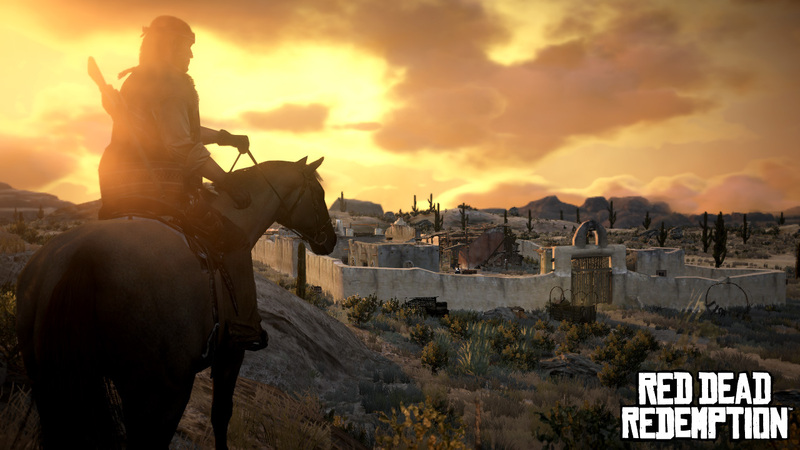 Much of RDR’s action revolves around traversing the vast landscape looking for missions. While not immediately challenging in the way that making a series of precision jumps is, having the grit to cover hundreds of virtual miles over the course of dozens of hours is difficult. Whereas SMG 2 shows the player the goal and challenges them to reach it, RDR challenges the player to have faith that goal itself exists. Once found, RDR’s missions all employ similar dynamics. The cover-based shooting that makes up most of the action requires persistence and patience rather than expert tactics: enemy stupidity, generous aim assistance, and readily-available bullet time make victory a question of “when” rather than “if.” Personally, I found the later missions to be easier than the early missions: the battle dynamics of popping in and out of cover remained constant, but my weapons became stronger. Soon, I was dispatching enemies with a single shot, which led me to focus on the game’s interest in existential difficulty. The final levels of SMG 2 force the player to prove that they can implement their knowledge of the game’s complex move set. By the end, Mario and the player must implement all their skills to conquer tightly scripted, deviously constructed obstacle courses. In the case of RDR, late-game bounties, gun fights, horse races and duels are largely identical to the first ones. RDR is an endurance run: the competency of Marston and the player are not seriously questioned, but their dedication to finishing the job is. Just as the story is not interested in deeply examining Marston’s practical skills, RDR only lightly tests the player’s grasp of the game’s mechanics. Instead of forcing them to master sharpshooting or trick horseback riding, RDR challenges the player by having them slog through the lonely, bleak, often repetitive world. The reward for doing so comes in the form of the emergent stories that arise from random bear attacks and freak dynamite accidents. Getting to know and understand Marston’s motivations as a character is also part of the reward for sticking with him. It’s a long road until the end of the game, but the conclusion offers an intense, poetic finale that respects the game’s themes of both justice and nihilism. 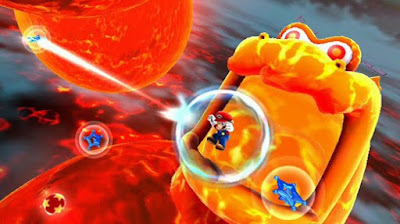 Mario’s story in SMG 2 stands in stark contrast: vanquishing Bowser and saving Princess Peach is a familiar story with a predictable outcome, but Mario and the player are constantly challenged to prove they have the skills to complete the task. The goals are always clear, but the means to achieve them are reliant on the player’s command of the concrete skills needed to navigate the world. Taken together, the two games describe the seemingly paradoxical difficulties we often face in life: Red Dead Redemption challenges us to find meaning in a world marked with vast stretches of uncertainty, a world in which we are confident in our abilities but worried about where to apply them and to what ends. Super Mario Galaxy 2 reminds us that, while the world may be large and uncertain, we must still face the prospect of proving ourselves able to overcome both current and future challenges. Nice compare and contrast. It relates well to your podcast about why games are fun and the often divergent elements that make them so. These two design/theme impulses are antithetical, yet still create fun games by tapping into different parts of our psyche. Good writeup. Thanks for stopping by! I always find it interesting that such different games can enjoy concurrent popularity. The numbers are hard to come by, but I wonder how many people played both games?